Reading has always been my favorite hobby, the thing I love to do no matter where I am in the world. It doesn’t matter what kind of day I’ve had, I can always curl up with a good book and just drift away into another world for a bit, and live vicariously through exciting characters in great novels. I’ve been reading a lot of non-fiction lately, so I was really looking forward to a couple of weeks of just cozying up with some Harlequin books for women with great stories ♥︎ It’s becoming the best part of my day. My favorite stories are about strong women, smart women, women who overcome obstacles and great odds to succeed and prosper. It’s real life, because strong women everywhere deal with obstacles and challenges daily, and I feel inspired when I read about them. I have wonderful relationships with so many women- friends, my sister, cousins and my mom and grandmother. I love stories that center around females who care about and support each other, and who succeed together. That is woman power! I’m in an online book club, and recommended Call Your Daughter Home for our group. I already read it once so I know I love it, and can’t wait to read it along with my online gal pals. I love both stories that are more gritty and real, and happy books that fill me with hope, so I’m sharing a variety below that I think you will ❤ too! 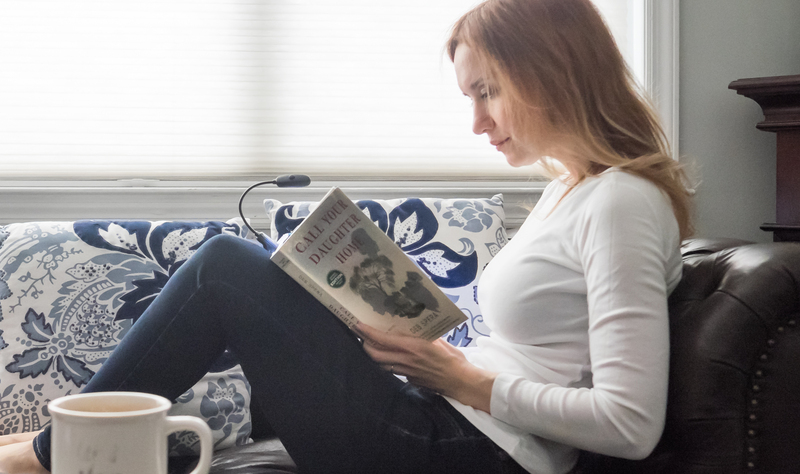 Call Your Daughter Home is a page-turning novel set in the south in the 1920s, just decades after the end of slavery and a few years before the onset of the Great Depression. It’s an extraordinarily tumultuous economic and racial climate, with sexism threaded throughout as well. These women face starvation, abuse and manipulation, and both racism and classism as they journey through the hardships of life in a very harsh world and era. I felt pretty emotionally attached to Annie, Gertrude, and Oretta while reading and literally could not stop until I found out how everything turned out for them. I deeply understood their struggle as mothers who do whatever they have to for their children to survive, as well as felt pain for them with each setback and disappointment. It’s hard to get into details without giving away important plot points, but suffice to say, this book is phenomenal! 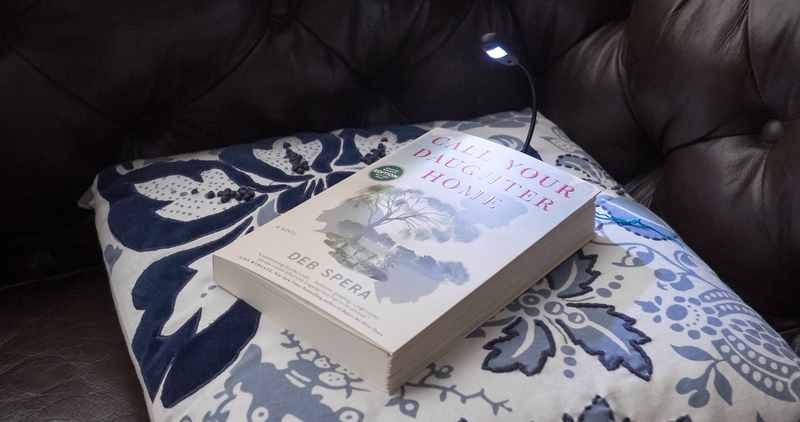 I am excited to see that the audiobook version will be available later this spring too, so I can have both versions of Call Your Daughter Home. The Cliff House is a story that revolves around the relationship of two sisters and their aunt. All families have a history, and these three women have to figure out who they are becoming and what their future holds while deconstructing the past (even as new secrets come out that cause some pretty big drama). This is a lighter book, and you will feel swept away by the delightful drama as you read it, particularly as each deals with their love lives and choices. I love the romantic storylines, so if you are in the mood for a tale about possible second chances, love stories, and friendship among women, all set in a very beautiful town that adds to the charm of these interwoven, enchanting tales, then this is a great book. I’d recommend it as an ideal travel book- take it on a cruise, to the beach, anywhere you are relaxing and want to get lost in a good story. The tone of the books and the bonds of these impressive four ladies (I can’t forget Beatriz’s lovely preteen daughter Marisol), makes it such a feel good read! Here is a story I felt I would love simply because it revolves around a bookstore, and bookstores are literally my favorite place in the world to be (outside of my living room, which is crammed with books and cozy pillow). I love everything about bookstores, from the stocked shelves holding thousands of different adventures and worlds within the pages of all those books, to the smell of paper and wooden furniture, and finally the taste and aroma of coffee that makes the experience of sitting and reading all the more fun. This is what I hold with me as I enter a bookstore, and I felt this as I opened up this book about a woman who inherits a bookstore from her uncle (lucky!!). This tale is about Miranda Brooks, who grew up in a bookstore where she not only spent her hours amongst the books, but chasing around clues for the scavenger hunts her uncle (the owner) would create for her. He disappears from her life after a family falling out, and almost two decades later she finds out he passed away and has left her the almost bankrupt bookstore. She also discovers that he left for her one final scavenger hunt, which sets her on a journey of learning about who he was, via people from his life and past and secrets about her family and what caused the rift. 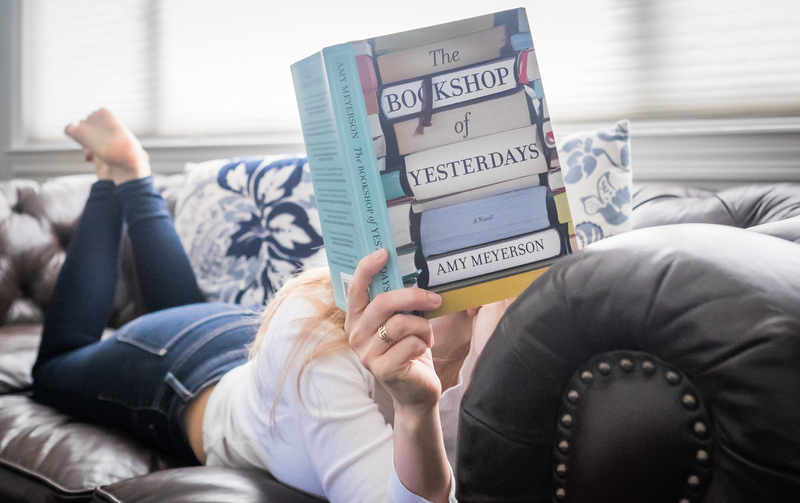 This is another intriguing book that took me on a voyage of emotional twists, and I can’t wait to read more from Amy Meyerson… so good. Even the cover of this book is wonderful, I love displaying it! And don’t forget to enter the sweeps to win some of these book best sellers! Visit StrongWomenreads.com and share who the strongest woman is in your life … she can be real or fictional! 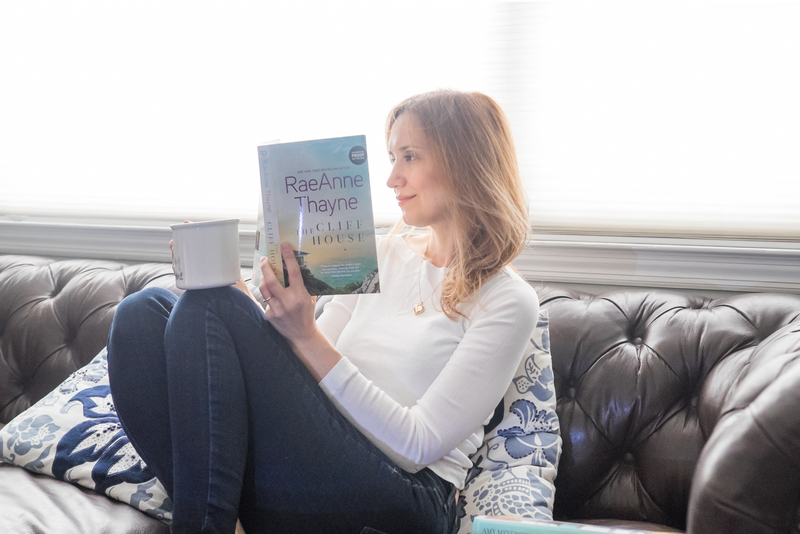 You’ll be entered to win a pack of Harlequin books for women and some great SWAG to pamper yourself with because even the strongest women love being pampered! The #StrongWomenRead Prize pack includes a scarf, a sleep mask, cozy reading socks, a cosmetic bag for your makeup, a pen, and six incredible new books (the best part)! So, what book best sellers have you been enjoying lately? Have you read any of the books I shared? Spring has Sprung – Here’s What I’m Wearing & Loving!